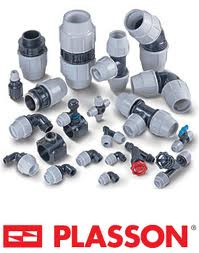 Plasson manufactures pipe couplings. Unidelta launched a competing product and Plasson claimed patent infringement of their patents IL 125899 and IL 127327 and passing off and requested an injunction. The District Court accepted the charges that the “main point of the patent” was infringed and issued an injunction preventing the manufacture, import or sale of Unidelta’s pipe connections in Israel as they are a copy of Plasson’s product. On Appeal, the Supreme Court overturned the finding of patent infringement and referred the case back to the District Court. The Supreme Court ruled that where the similarities between the allegedly infringing product and the patented invention lie in features that are in the public domain, there can be no case of infringement. In addition to literal infringement of the claims of a patent, Section 49 provides grounds for legal remedies where the kernel of the patent is copied. This is rather like the “pith and marrow” doctrine in the UK. Essentially, the Law provides remedies where claim infringement is avoided by a technicality, and may be seen as similar to the doctrine of equivalents. Arguably contributory infringement and inducement to infringe may be considered as judicial extensions of this doctrine. It is important to allow general inventing around, but to avoid situations where poor claim drafting can result in no literal infringement of the claims. What the Supreme Court has done is to clarify the extent of application of Section 49. Judge Meltzer of the Israel Supreme Court ruled that Section 49 provides monopolistic powers to the patentee to prevent literal infringement of the claims defining the invention and also similar products / processes that infringe the kernel of the invention. In this instance, both parties accept that there is no literal infringement so the only issue is the kernel of the patent. The kernel cannot be wider than that described in the Specification and, where the patent is for a device or system comprising a combination of known parts, the kernel of the patent cannot include the parts themselves. In this instance, the District Court did not address the question of what the kernel of the patent is, and without identifying the kernel of the patent, it is impossible to establish that this is infringed by Unidelta’s product. Once the kernel is established, the court must consider whether the infringing product operates in a similar way to achieve similar results. The Supreme Court ruled that the patent issued because of a limiting feature added to the other components. “1. A pipe coupling comprising a tubular housing having an axial bore adapted to receive a pipe end to be coupled and having an externally threaded housing portion and an inner housing abutment; a pipe gripping sleeve having formed therein a plurality of substantially equiangularly distributed, axially directed slits extending from a first end thereof to a region adjacent to but spaced from a second and opposite end thereof thereby defining an integrally formed, axially distortable, ring-like sleeve end portion, a first axial portion of said sleeve, through which said slits extend, tapering externally from a peripheral, outwardly directed flanged portion towards said first end and being formed with a plurality of inwardly directed, axially spaced apart serrations; a tubular collar having a first inner axial portion tapering from an inner collar abutment to a first end of said collar and a second inner axial threaded portion extending from said collar abutment to a second and opposite end of said collar; and a flexible sealing ring; the arrangment of said coupling being such that with said pipe end extending through said collar, sleeve, sealing ring and housing, said collar is screw fitted on said housing, said sleeve is located in said housing and said collar with said flanged portion located between said collar abutment and an adjacent end of said housing and said sealing ring is located between said sleeve ring and said housing abutment; screw tightening of said collar on said housing causes the respective tapering portions of the collar and sleeve to be mutually displaced with the gripping contraction of said sleeve about said pipe end and the axial compression of said sealing ring about said pipe end”. Plasson’s patent is for a ring fitting that includes a wide and flexible ring that enables different sized pipes to be attached together in one smooth motion without dismantling the connector. Since Unidelta’s system did not include this limiting feature, but merely combined pre-existing components to create an alternative pipe fitting, there was no infringement of the kernel of the patent. Pipe couplings of the type herein described, which are presently in wide-spread use, normally require pushing the pipe through the seal (typically an O-ring) in the bore of the body member in order to achieve compression of the O-ring on the pipe, and thus a leak free joint. However, for pipes of large diameters, the operation of pushing the pipe through the O-ring seal requires a large force, making the operation very difficult, and sometimes even necessitating an extra operation of chamfering the pipe end for this purpose. A further disadvantage in the pipe couplings of the type herein described now in use is that such couplings do not tolerate substantial variations in the pipe diameter so that precise pipe diameter tolerances must be maintained, or a large number of different-size couplings must be produced for the different diameter pipes to assure good sealing and gripping actions”. “…a pipe coupling constructed in accordance with the foregoing features provides a number of important advantages including: convenient assembly, since the particular seal, in its relaxed condition, introduces very little resistance to the forceful entry of the pipe during assembly; …increased diameter range of pipes capable of being coupled, since the two-ribbed (or three-ribbed) sealing ring can accommodate substantial differences in diameter sizes…”. This emphasizes that Plasson did not invent the only pipe coupling for joining pipes of different diameters, and there patent was limited to one that is easy to seal due to little resistance. As to passing off, the Supreme Court was critical of the District Court for finding this without explanation of why they considered that this was applicable. The Supreme Court referred the case back to the District Court for further consideration on this issue. Judge Meltzer established costs against Plasson of 75000 Shekels. Judge Miriam Naor (now president of the Supreme Court) commended Judge Melzer on reducing the issue to non-technical matters without technalese that regular people could understand. One wonders who the non-technical people are in this case, plumbers or the President of the Supreme Court? Is the technical issue here flanges and pipes, gaskets and washers, or non-literal infringement, pith & marrow and other legalese?